The domain within your query sequence starts at position 213 and ends at position 256; the E-value for the FBOX domain shown below is 3.94e-3. 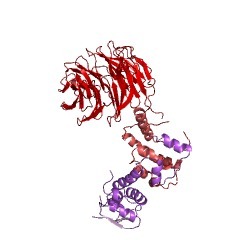 First identified in cyclin-F as a protein-protein interaction motif, the F-box is a conserved domain that is present in numerous proteins with a bipartite structure [(PUBMED:8706131)]. Through the F-box, these proteins are linked to the Skp1 protein and the core of SCFs (Skp1-cullin-F-box protein ligase) complexes. 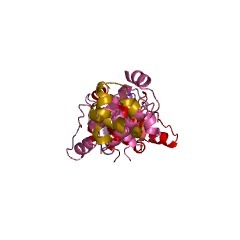 SCFs complexes constitute a new class of E3 ligases [(PUBMED:9346238)]. 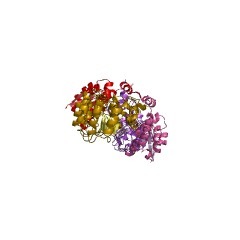 They function in combination with the E2 enzyme Cdc34 to ubiquitinate G1 cyclins, Cdk inhibitors and many other proteins, to mark them for degradation. The binding of the specific substrates by SCFs complexes is mediated by divergent protein-protein interaction motifs present in F-box proteins, like WD40 repeats, leucine rich repeats [(PUBMED:9529603), (PUBMED:10581972)] or ANK repeats. There are 84937 FBOX domains in 82912 proteins in SMART's nrdb database. Taxonomic distribution of proteins containing FBOX domain. This tree includes only several representative species. The complete taxonomic breakdown of all proteins with FBOX domain is also avaliable. Click on the protein counts, or double click on taxonomic names to display all proteins containing FBOX domain in the selected taxonomic class. Identification of a family of human F-box proteins. 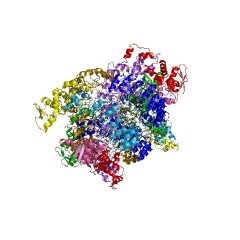 F-box proteins are an expanding family of eukaryotic proteins characterized by an approximately 40 aminoacid motif, the F box (so named because cyclin F was one of the first proteins in which this motif was identified) . 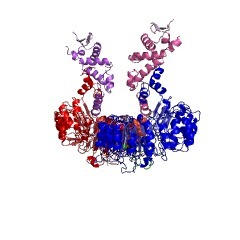 Some F-box proteins have been shown to be critical for the controlled degradation of cellular regulatory proteins  . 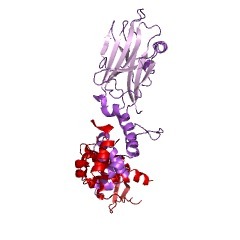 In fact, F-box proteins are one of the four subunits of ubiquitin protein ligases called SCFs. 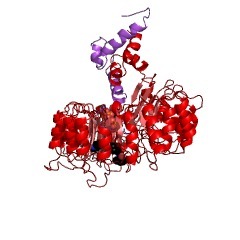 The other three subunits are the Skp1 protein; one of the cullin proteins (Cul1 in metazoans and Cdc53 or Cul A in the yeast Saccharomyces cerevisiae); and the recently identified Roc1 protein (also called Rbx1 or Hrt1). 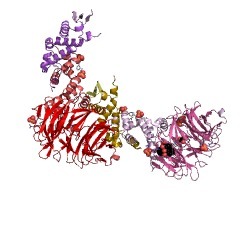 SCF ligases bring ubiquitin conjugating enzymes (either Ubc3 or Ubc4) to substrates that are specifically recruited by the different F-box proteins. The need for high substrate specificity and the large number of known F-box proteins in yeast and worms   suggest the existence of a large family of mammalian F-box proteins. Using Skp1 as a bait in a yeast two-hybrid screen and by searching DNA databases, we identified a family of 26 human F-box proteins, 25 of which were novel. 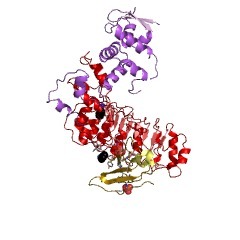 Some of these proteins contained WD-40 domains or leucine-rich repeats; others contained either different protein-protein interaction modules or no recognizable motifs. 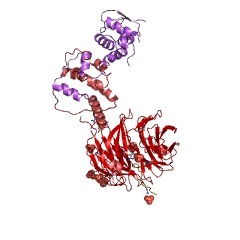 We have named the F-box proteins that contain WD-40 domains Fbws, those containing leucine-rich repeats, Fbls, and the remaining ones Fbxs. 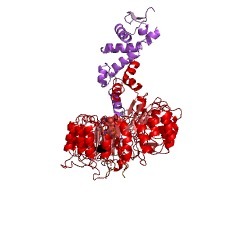 We have further characterized representative members of these three classes of F-box proteins. Identification of novel F-box proteins in Xenopus laevis. 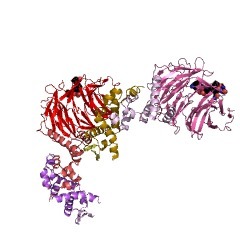 Proteolysis and the G1-S transition: the SCF connection. Temporal control of ubiquitin-proteasome mediated protein degradation is critical for normal G1 and S phase progression. 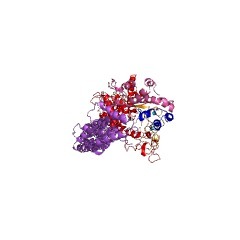 Recent work has shown that central to the temporal control mechanism is a relationship between newly identified E3 ubiquitin protein ligases, designated SCFs (Skp1-cullin-F-box protein ligase complexes), which confer substrate specificity on ubiquitination reactions and the activities of protein kinases that phosphorylate substrates destined for destruction at specific sites, thereby converting them into preferred targets for ubiquitin modification catalyzed by SCFs. 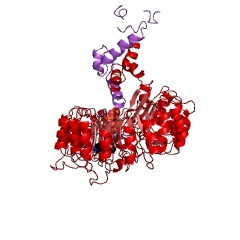 The constituents of SCFs are members of evolutionary conserved protein families. 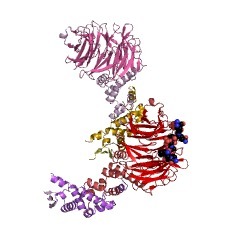 SCF-based ubiquitination pathways may play a key role in diverse biological processes, such as cell proliferation, differentiation and development. An additional role for the F-box motif: gene regulation within the Neurospora crassa sulfur control network. 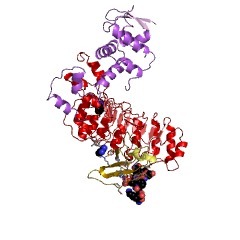 The F-box represents a protein motif originally identified as a conserved amino-terminal domain within the Neurospora crassa negative regulator sulfur controller-2. 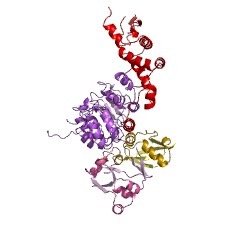 Recently, F-boxes have been found within a number of cell cycle regulatory proteins, where they mediate ubiquitin-driven proteolytic events required for major cell cycle transitions. F-box function, however, is not restricted solely to cell cycle pathways. Here we present evidence expanding F-box function to encompass gene regulatory processes independent of the cell cycle through in vivo analysis of an F-box acting within the N. crassa sulfur regulatory network. The Neurospora sulfur circuit features a set of regulatory genes acting to modulate gene expression based on environmental sulfur conditions. 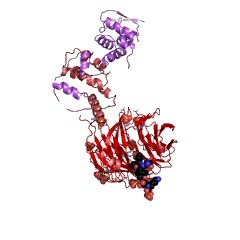 These sulfur regulatory genes include cys-3+, which encodes a basic region-leucine zipper transcriptional activator, as well as the negative regulatory gene scon-2+. Through site-directed mutagenesis of the SCON2 F-box, we have generated a sulfur auxotrophic phenotype previously unobserved in any scon-2 mutant. Using Northern analysis, we have traced this auxotrophy to a complete shutdown of cys-3+ gene expression. We have further analyzed F-box function by constructing a series of chimeric SCON2 proteins containing swapped F-box domains from the yeast transcriptional inhibitor Met30p and the Candida albicans cell cycle regulator Cdc4p. The ability of these chimeric proteins to restore partial wild-type sulfur regulation in vivo emphasizes the universal nature of this motif and confirms the functional importance of the F-box within noncell cycle regulatory pathways. Combinatorial control in ubiquitin-dependent proteolysis: don't Skp the F-box hypothesis. The ubiquitin-dependent proteolytic pathway targets many key regulatory proteins for rapid intracellular degradation. 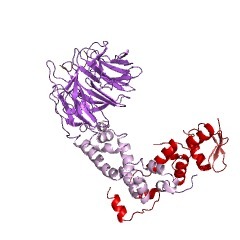 Specificity in protein ubiquitination derives from E3 ubiquitin protein ligases, which recognize substrate proteins. Recently, analysis of the E3s that regulate cell division has revealed common themes in structure and function. 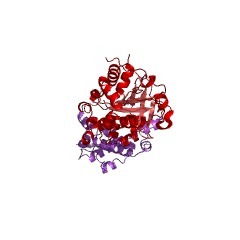 One particularly versatile class of E3s, referred to as Skp1p-Cdc53p-F-box protein (SCF) complexes, utilizes substrate-specific adaptor subunits called F-box proteins to recruit various substrates to a core ubiquitination complex. 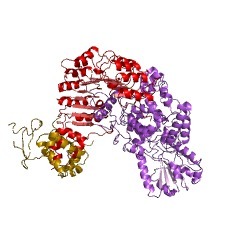 A vast array of F-box proteins have been revealed by genome sequencing projects, and the early returns from genetic analysis in several organisms promise that F-box proteins will participate in the regulation of many processes, including cell division, transcription, signal transduction and development. SKP1 connects cell cycle regulators to the ubiquitin proteolysis machinerythrough a novel motif, the F-box. We have identified the yeast and human homologs of the SKP1 gene as asuppressor of cdc4 mutants and as a cyclin F-binding protein. Skp1pindirectly binds cyclin A/Cdk2 through Skp2p, and directly binds Skp2p,cyclin F, and Cdc4p through a novel structural motif called the F-box.SKP1 is required for ubiquitin-mediated proteolysis of Cin2p, Clb5p, andthe Cdk inhibitor Sic1p, and provides a link between these molecules andthe proteolysis machinery. 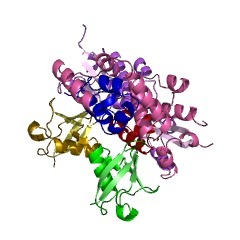 A large number of proteins contain the F-boxmotif and are thereby implicated in the ubiquitin pathway. Different skp1mutants arrest cells in either G1 or G2, suggesting a connection betweenregulation of proteolysis in different stages of the cycle. This information is based on mapping of SMART genomic protein database to KEGG orthologous groups. Percentage points are related to the number of proteins with FBOX domain which could be assigned to a KEGG orthologous group, and not all proteins containing FBOX domain. Please note that proteins can be included in multiple pathways, ie. the numbers above will not always add up to 100%.